Special events at Audio T Southampton and Cheltenham | What Hi-Fi? 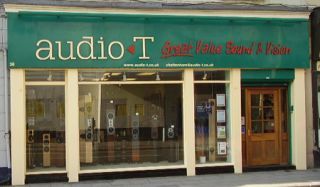 Retailer Audio T is running a series of special events at its Southampton and Cheltenham stores. There's a two-week PMC and Bryston event at Audio T Southampton running from May 31st to June 14th. Visitors to the store will be able to listen to a range of PMC speakers including the PB1i Signatures and fact 3s, plus a range of Bryston electronics and stereo and multichannel configurations. Meanwhile over at the Cheltenham store there will be a vinyl roadshow on Saturday, June 11th. Customers are invited to bring along some of their favourite albums on vinyl and hear how they sound on a range of Rega turntables, including the P7 and 93/24. Gloucestershire's "finest record store", Vinyl Vault, will also be on hand with a range of rare and classic vinyl albums for sale.